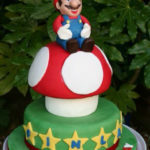 It has been a long time since I have posted a geeky cake (two months to be exact) so I thought today would be the perfect day to post one since I came across this cool Mario cake in my normal visits to my favorite nerd sites. 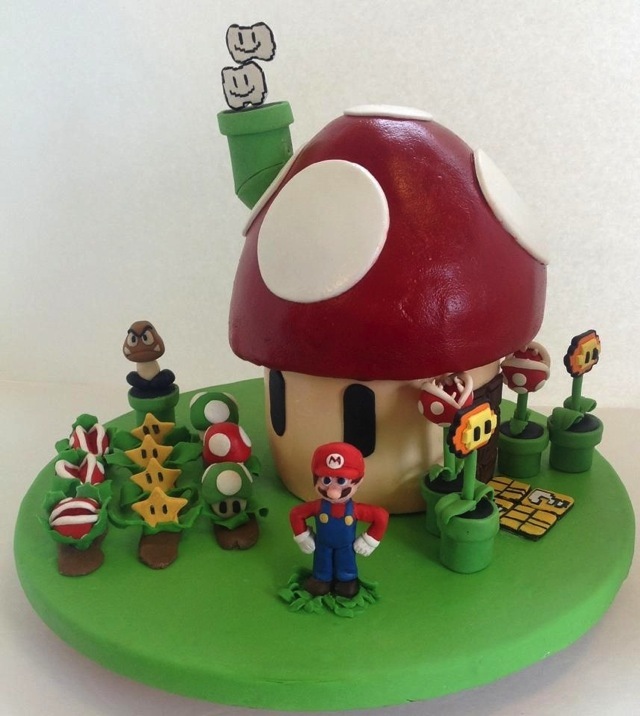 I’ve posted a ton of Super Mario themed cakes and even cupcakes in the past such as this mind blowing Super Mario Bros wedding cake and this sweet Mario warp pipe cake but I’m pretty sure this is the first one that has featured a giant mushroom as a house. 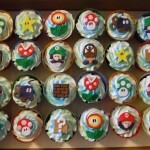 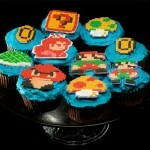 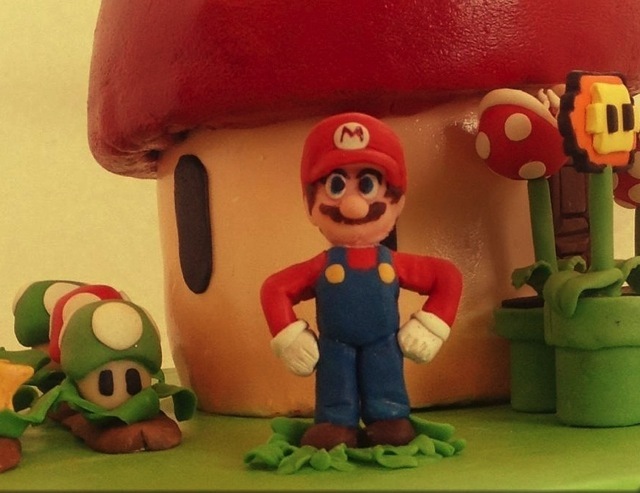 This cute Super Mario inspired cake was created by Cake Central Member KOs Cakes. 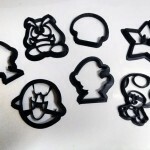 It features all kinds of Mario staples like Mario (obviously), a goomba, piranha plants, fire flower power ups, stars, mushrooms and more! 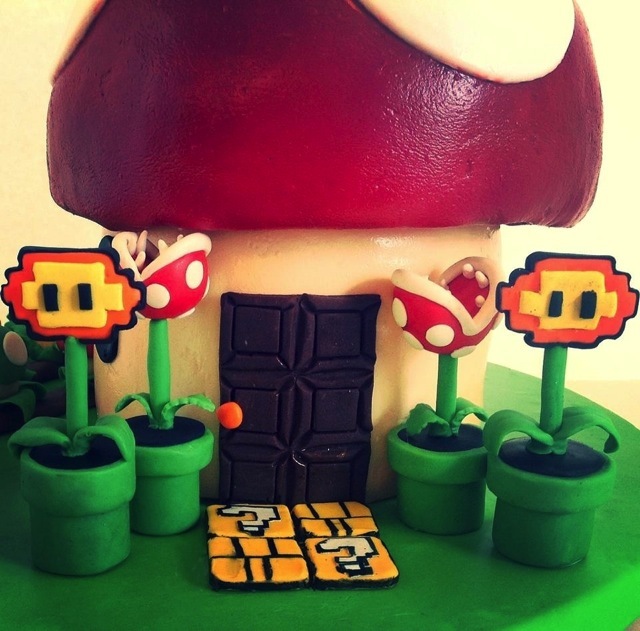 As for the tasty details of this cake, Mario, the chimney, clouds and plants were made out of modeling chocolate and the mushroom house is made with fondant (not so tasty). 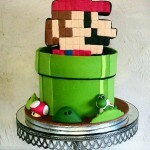 Even though I may have a major dislike of fondant, you can’t argue with how good of looking cakes you make out the stuff.